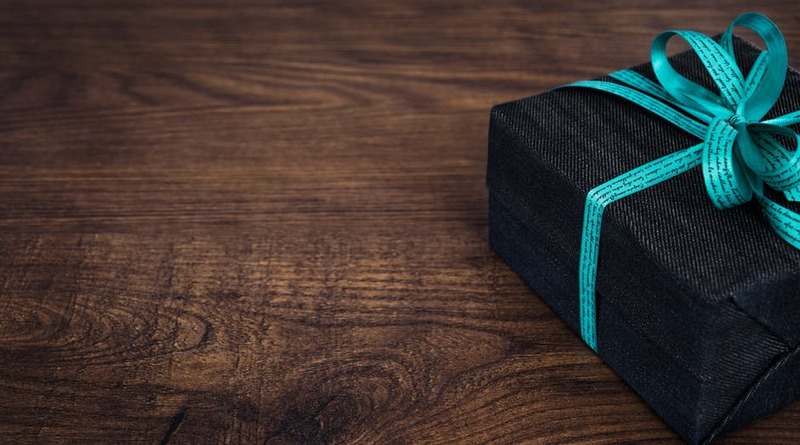 Have you ever wondered how the practice of gifting started in the first place? With a little bit of research, you will be amazed to know that this tradition has been in practice for thousands of years as far as man can remember. It all started with people gifting others and inferred it as a status symbol to prove the dominance of their tribe or clan. And interestingly the gifts that they gave are unusual objects like a shaped rock, a tooth from an animal, the bark from a tree or some other item of nature which they felt unique. But now, gifting is one of the widely spread practice among all the people around the world and there are a lot of dedicated industries that design and manufacture gift materials. With such kind of history behind the tradition, whenever you gift someone, you should feel that you are actually practicing a thousand year old tradition and passing it on to other generations. What you actually get by gifting to others? You must have seen a lot of people around you have the habit of gifting and wondered what actually they get by doing it. This practice is more of a psychological satisfaction for people who feel that they are getting connected to their beloved ones by gifting them. Generally people give gifts to express their emotions and feelings. These gifts provide them an opportunity to express their thoughts and have a self-satisfaction in doing so. And also gifting is an effective way to communicate the things which you can’t share with them directly. Why it is important to give gifts to high school students? For anyone who had come a long way in their life, high school life experience is one of the most memorable and cherishing memories. We learnt a lot during that period and the decisions that we took during that time made us what we are today. The life during this period is very vital for one’s future decisions and the character they develop. If your beloved ones are in their high school, then you should take gifting as an opportunity to show them a right path. You should consider this as your responsibility to do so. As with the right kind of gift, you have the chance of impacting his/ her entire life and shaping their future. So it is extremely important to utilize this opportunity to its maximum potential. What are the best gifts that you can give to high school students? Gifting doesn’t have to be very expensive. It can be something that is very interesting to them and useful for their future and creates the right kind of interest and curiosity in their minds. Remember, the gift that you are going to give someone who is doing their high schooling can impact their life and make them take better decisions in life. With the recent technological advancements, students are now more fascinated in robotics, iot and aeromodelling. And these fields are also quickly becoming popular and will surely dominate all the industries in the coming years. To help your beloved ones to get started in these technologies, you can gift them with a DIY project kit. These kits will increase their curiosity towards the particular technology and make them gain real skills which will be very helpful for their future prospects. With the right kind of kit, you can impact the career decision that he or she will take after high school. There are lot of innovations happening around us, even the devices that we use everyday from mobile phones to the laptops have advanced significantly. But the syllabus that high schools are following has seen the least alterations and modifications. With the current content, high school students will find it difficult to learn the latest technologies when they go for their bachelor degree. So you can gift a course enrolment to help them learn and build interesting projects on latest technologies. There are lot of companies offer these kind of courses, top mentions include Skyfi Labs, Udemy, Udacity, Coursera, Simplilearn etc. The advantage of doing these courses is that they can be accessed anytime, anywhere, making it easy for high school students to learn after school hours. One good thing about schools is that a lot of vacations will be given for the students. You can gift something that will help them utilize their holidays effectively by learning and gaining important skills. One such effective thing to do is to get them tickets for a good training program. A lot of training programs will be scheduled by reputed organizations throughout the year and you can select the one that is happening near to them. These programs come with varied durations and technologies. Based on your beloved one’s interest and convenience, you can gift them the tickets of these training programs. Even if the above gifts seems little out of the blue, your beloved ones will surely love it. Remember, the gift that you are providing them will not only make them realize how much you care about them but also has the greatest impact on their life and career prospects. Do let us know what you think is the best gift for a high school student by commenting below.